Joseph R. DeHondt is an Associate in the Corporate Finance Practice Group in Dykema's Bloomfield Hills, Michigan office. Mr. DeHondt advises clients on transactional and corporate matters, including mergers and acquisitions, equity offerings, venture capital financings, private placements, joint ventures, corporate governance and other general corporate matters. In addition, he counsels public companies on securities rules and regulations, including SEC reporting, disclosure and compliance issues. 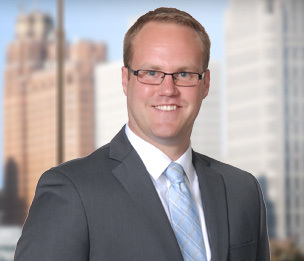 Mr. DeHondt also assists clients with drafting and negotiating agreements regarding the development, licensing, and transfer of software and technology. Mr. DeHondt attended the University of Michigan Law School, where he served as a Contributing Editor on the Michigan Journal of International Law. While in law school, he interned for the Honorable David Lawson in the U.S. District Court for the Eastern District of Michigan.